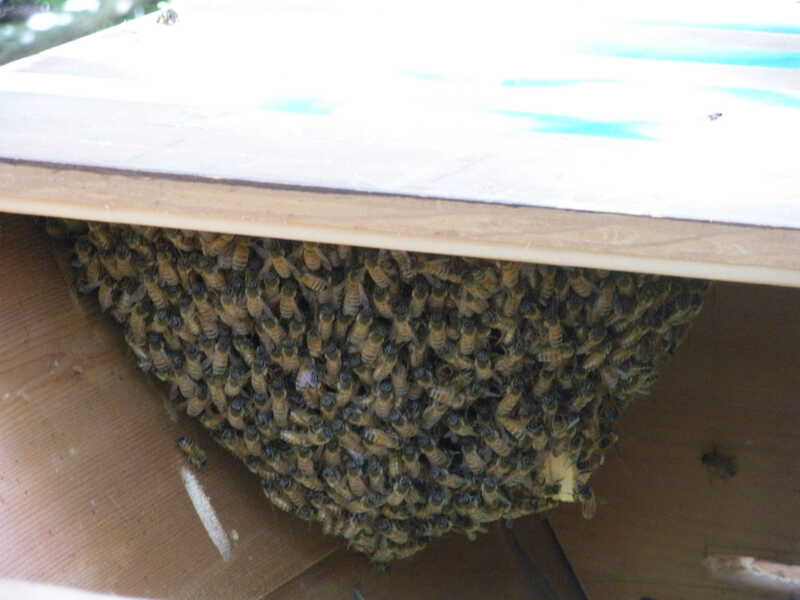 While my bees did not survive the winter they did leave several boxes completely full of honey. At this point I cannot justify an extractor so I’m doing what is called crush and strain. Further I do use beeswax in other things so I’m OK with cutting comb out of frames of honey. 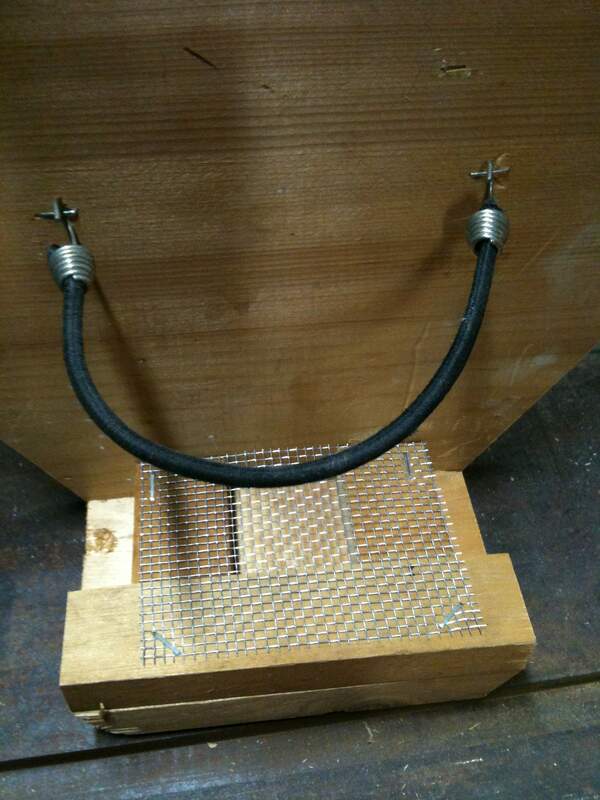 And since I use foundationless frames it is easy to just run a knife around the frame and cut out all the comb. 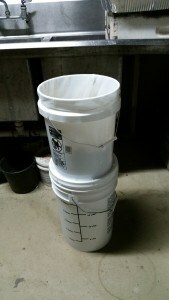 To make a crush and strain setup you need two buckets with lids and a 5 gallon paint strainer bag. 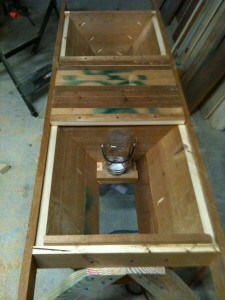 Cut the middle out of one lid and drill several holes in the bottom of what will be the top bucket. Put the paint strainer bag in the top bucket and the lid with the middle cut out on the lower bucket. 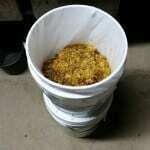 It does take several days for the honey to flow through to the bottom bucket, I’ve got this in my basement so it is on the cool side. It works better when it is warmer. You can crush it by hand or use a potato masher. 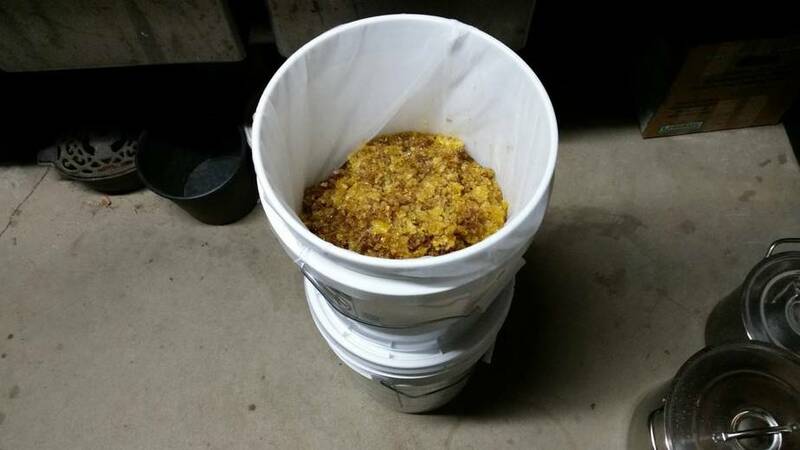 The more it gets mashed up the better it will allow the honey to drain out. This leaves you the wax which will still have some honey on it. You can heat it up enough to melt the wax which will float to the top and leave what is left of the honey in the bottom. This honey will not have all the goodness of raw honey and will need to be strained again, however it can be used in cooking since it will be heated during cooking anyway. 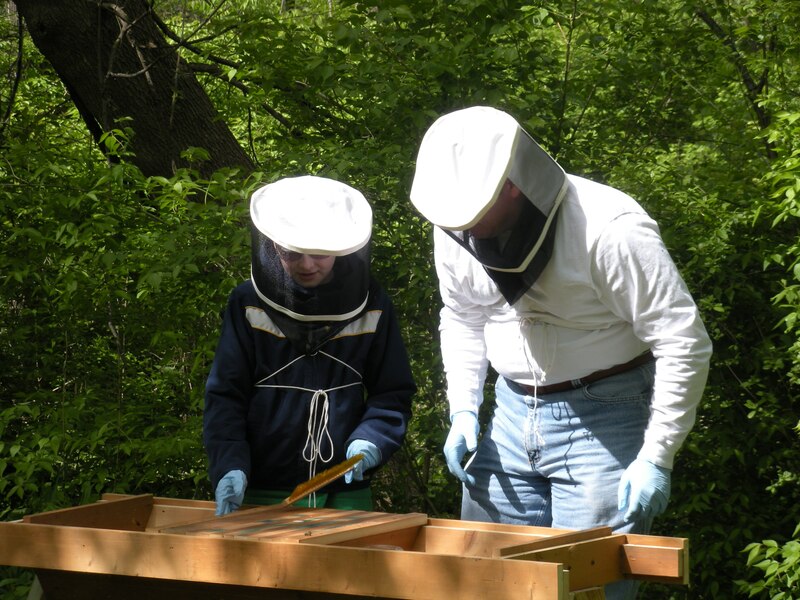 I got started in beekeeping when I was given some equipment. It consisted of 10 frame deep and medium hive bodies. This year my bees died yet again, however there was a lot of honey left in the hive so I decided to harvest it. I lifted the 10 frame deep full of honey off the stack and just about killed myself as it weighs something in the neighborhood of 100 lbs and is somewhat unwieldy. Just to get it back to the house I had to put it in a small trailer behind my ridding mower. While I’m reluctant to get rid of the equipment I have I’ve decided that I really need to reduce the weight of what I’m moving around. Therefore I’ve decided to take Michael Bush’s advice and move to all medium 8 frame equipment, which would weigh about half of what a 10 frame deep does. I ordered foundationless medium frames from Kelley Bees and will be building my own hive bodies based on these plans. 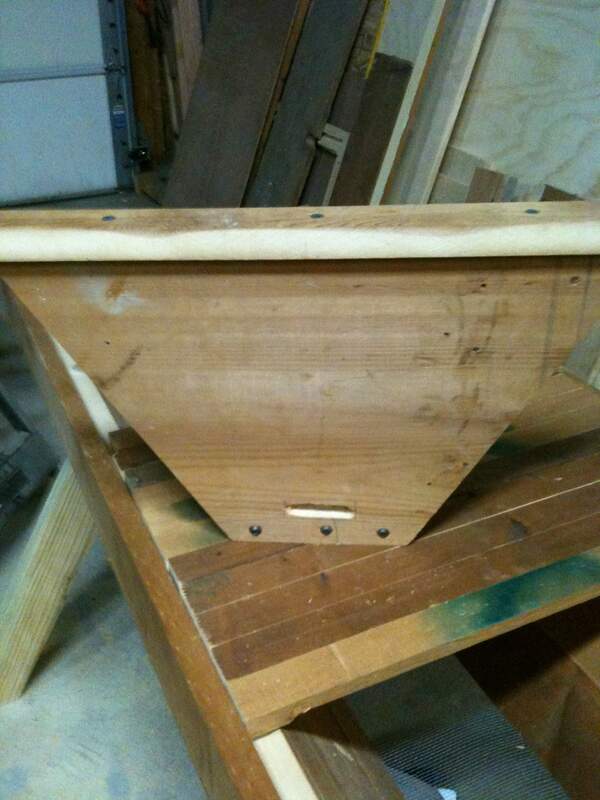 I figure I can build two hive bodies from a 12′ board that costs less than $9, which makes them about $4.50 each or about 1/3 the cost of buying them from a beekeeping supply house. When I first decided to try beekeeping I found Phil Chandler the Barefoot Beekeeper from BioBees.com and decided to try a Top Bar Hive. I have some woodworking skills so building the hive was within my skill set. Overall I was happy with what I ended up with, except the lid being heavy. However I never got any bees to stay in the hive. Being a new beekeeper I didn’t have access to anything like old comb to make the hive more enticing and I made it with a screen bottom, which the bees my not have liked. This is the hive I ended up with. Some things I think went well is wrapping the top of the hive with a skirt which enabled the bars to fit securely and not move back and forth. In this picture I only have some of the bars installed. I like the look better of the end boards being cut to the angle of the sides rather then being a square with the sides running into it. 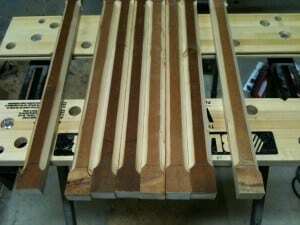 I also cut the top and bottom of the sides to match the angle of the sides so they are level. 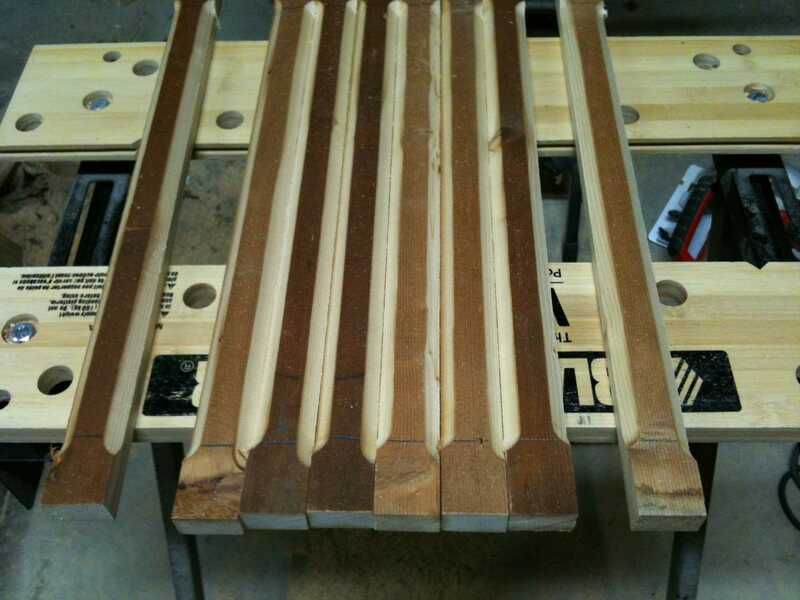 I used a router to create a comb guide on the bars so I wouldn’t have to try doing the beeswax and string thing or try to glue Popsicle sticks in a slot. I marked the bars so I know how much would be exposed and only routed to that line so the part of the bar that sits on the wall would still be flat. 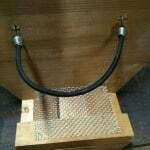 I just used a chamfer bit in the router to create this profile. 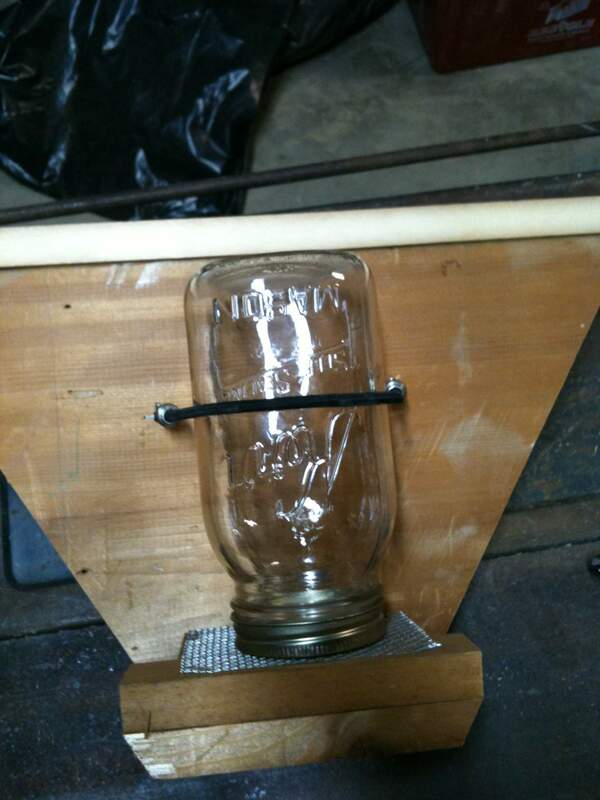 I also created an internal feeder on one of the follower boards that just takes a mason jar. It is just some #8 hardware cloth with a slot cut in the side that faces the bees. I have to say our finished product look pretty good for someone that hadn’t done any woodworking for many years. However when I added the package of bees things didn’t go so well. The bees did cluster around the queen and built some comb that was beautiful, straight and centered on the bar, but after a few days they were gone. From what I’ve read on the internet absconding if somewhat common with a package of bees in a Top Bar Hive. I want to get back to trying it again, but it will have to be with a trapped swarm because after two packages not sticking around I can’t afford to do that again. This means build a swarm trap the same width as my TBP. Maybe next year. I have been trying to become a beekeeper for something like 5 years now. I have had some spectacular failures where a $100 package of bees absconded and never did anything in the hives I installed them in. Other times the have appeared to do well but I have yet to have a hive successfully overwinter. A couple of time I believe it was due to mice taking up residence in the hive, other time I’m just plain baffled. I haven’t harvested any honey to date and this last year there were two deeps mostly full of honey when they went into winter. I peaked in when we had a warm day in S.E. Michigan and the hive looks dead again. I haven’t tore the hive all apart yet to do an autopsy of the hive as the Treatment-Free Facebook group I follow says bees can look dead but just be not moving due to cold. I’m not too hopeful because my friend with a hive a few miles away saw his bees out flying that day. 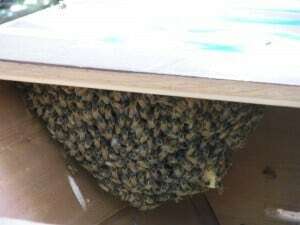 My friend caught a swarm whereas I got a package of bees from the south. I’m starting to suspect that my problem is I really need northern bees, ones that can survive the Michigan winter. Previously I have not been able to find local bees, but I did just recently find a source of over-wintered nucs. If they have any available for this year I’m going to try that. I’m also going to put out my deeps as swarm traps in the hopes of catching a swarm from a feral colony or at least one that has over-wintered successfully. Further I’m finding I really don’t like lifting the 10 frame deeps, which can weigh close to 100 lbs when full of honey. 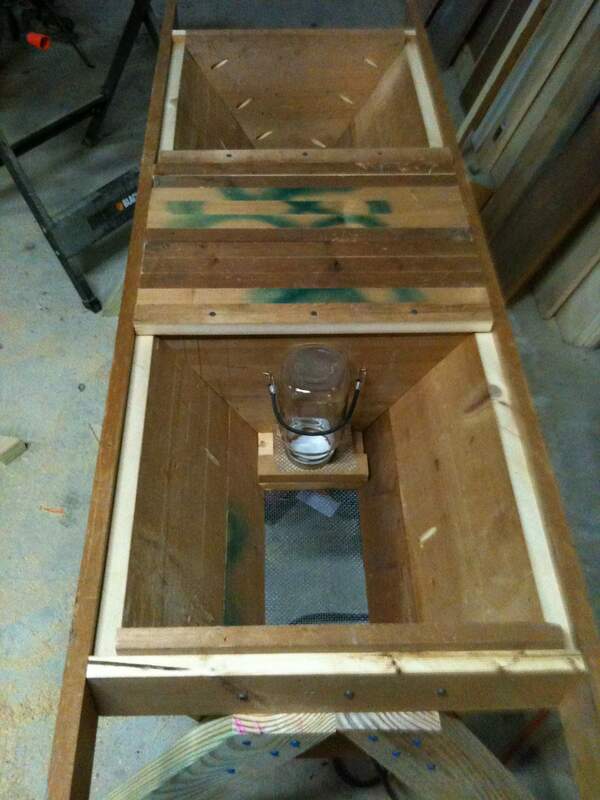 Therefore I’m going to try a horizontal hive that takes the standard deep frames. 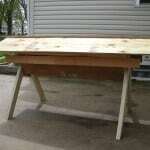 This is something I’ll have to build, but it is well within reach of my woodworking skills. The down-side is they are very hard to move because they are large and can be very heavy. However I have no reasons to move my hives, so that isn’t an issue. The advantage is you really only have to lift one frame at a time. I have found I really like the foundation-less frames that Kelley Bees sells as this lets the bees build whatever size cells they want. I’m not a big fan of the idea of having foundation with larger than normal cells on it that forces the bees to be bigger. I like the idea of natural cell size better. Also when it comes to harvesting honey I can just cut out the comb and either keep it as comb honey or crush and strain it as I don’t have an extractor. Hopefully 2016 will be the year I am a good enough beekeeper to have hives that live until spring of 2017. Sign up for e-mail updates in the upper right corner of this site to follow my progress, good or bad. First of all I need to say that I have yet be successful in over-wintering a beehive, however I did start from nothing in my beekeeping experience so if you are a completely new beekeeper my trials may help you. Let us consider the types of beehives and my suggestion will be at the bottom. 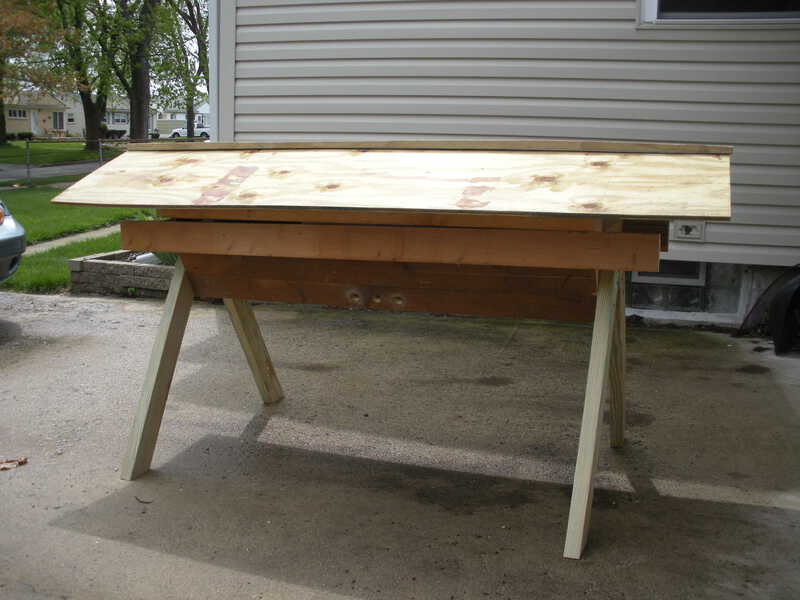 Langstroth – This is the most common in the US and is what you see most beekeepers using. This hive consists of movable frames that go into a hive body that holds either 8 or 10 frames with 10 frame hive bodies being the most common. The height of the hive bodies come in different sizes, called deeps, mediums & shallows. Being the most common you can easily buy all the parts you need from a variety of places. I have been keeping bees in a couple of Langstroth hives for several years now and have been thwarted by mice finding their way into the hive in the winter and eating the honey and, I think, the bees. This type of hive is really designed for the commercial beekeeper that needs to maximize honey production and have the ability to easily move the hives to new locations to provide pollination services. In fact many commercial beekeepers make more money off of pollination contracts than from selling honey. One thing to keep in mind the hive bodies can be very heavy, up to 90 lbs for a deep full of honey. 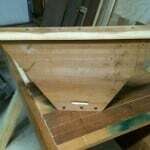 Top Bar Hive – When I first started beekeeping I tried a top bar hive. A beekeeper in the UK by the name of Phil Chandler strongly recommends them as a better way for the hobby beekeeper to keep bees. 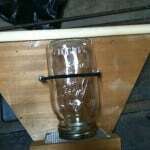 Plus the can be built yourself with only the most basic of tools for a low-cost. Thus they have also become popular in Africa as a way to enable those without much money to start a beekeeping business and better their life. You can read about this type of hive at www.biobees.com with full plans available. However the problem I ran into the two times I tried to install a package of bees in my top bar hive is the bees just left. It is not easy to find someone else with a top bar hive that can sell you a nuc (more about nucs later) so unless you already have bees I was not able to get a hive started in a top bar hive. Others haven’t had any problems. A top bar hive can need more tending as you have to make sure the bees to not fill up all the space you have allocated to them. However honey harvest can be easy and done in small amounts, perfect for the home beekeeper. These are available to buy but I think shipping will hurt, so look for a local builder if you don’t want to build it yourself. 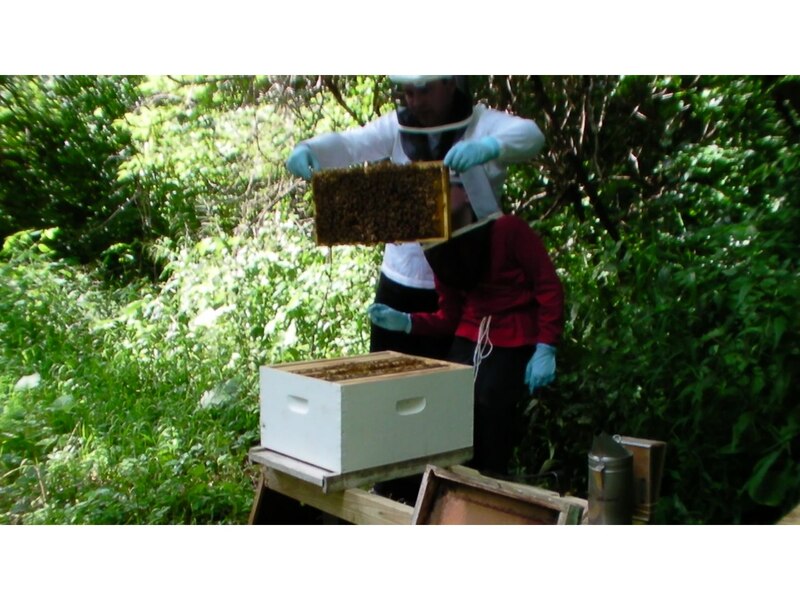 Warre Hive – This is called the “people’s hive” because it is very easy to build with plans also available on the biobees site. The philosophy behind Warre beekeeping is very much hands off and you work the hive at the box level, not at the fame level like the Langstroth or Top Bar Hive so it can be less work. However adding to the hive requires lifting the whole stack of boxes and adding a box to the bottom, this can mean lifting well over 100 lbs. Because of that Warre beekeepers have designed and built various lifts to make this task easier, but building such a lift is not particularly easy for one with limited building skills. Honey harvesting is usually done in the fall by taking boxes off of the top and generally the comb is crushed to extract the wax. This provides a natural rotation that means the oldest wax (which can be contaminated by chemicals and pesticides) is removed from the hive. Some beekeepers feel this is of value, others feel it is making work for the bees requiring them to build new comb. 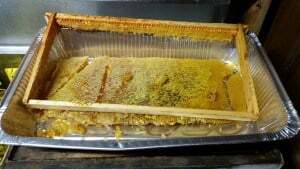 There is a “fact” out on the internet (so it must be true) that it takes 8 lbs of honey to make 1 lb of wax so when you use a beekeeping style that removes the honey comb from the hive (Like the Warre or Top Bar) you are loosing a lot of honey while the bees create new comb. However I have not been able to find clear proof anyplace that this is true and personally do not believe it and even if it was true I would still take whole combs as I have use for bee’s wax. This is a very old method of beekeeping and many of the beekeeping supply places sell Warre Hives. Perone – A Perone is like a super-sized Warre in that it is frame-less except it is much larger. Also you create the large bottom brood chamber and never go in it again, you put shallower boxes on top for you to get honey. Oscar Perone developed this hive in South America and I have followed a few people in the US that have tried it but none of them have been particularly successful. 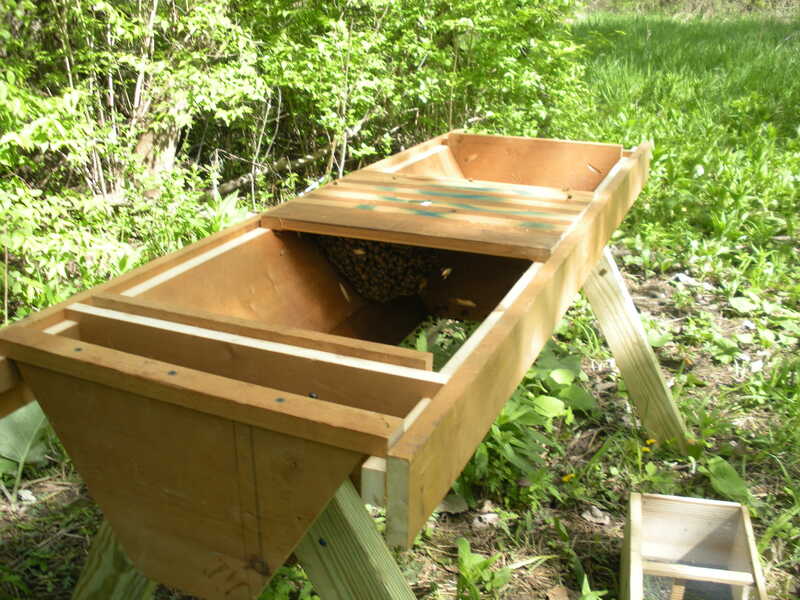 Horizontal Hive – This is like a cross between a top bar and Langstroth hive. There a frames like a Langstroth, but each frame is much bigger and deeper and you only have one box, you do not stack them like a Langstroth or Warre. I have not found many people who are using this method of beekeeping even though the site claims there are a million of these hives in use. This is I’m considering as I move forward with beekeeping. You will have to build it yourself as I do not believe anyone makes these commercially. This does address the biggest problem I have with Warre or Langstroth, you only lift one frame at a time which is much less weight. However the whole hive has to be hundreds of pounds, but since I wont be moving my hives very often, if ever, I don’t see this as a problem. 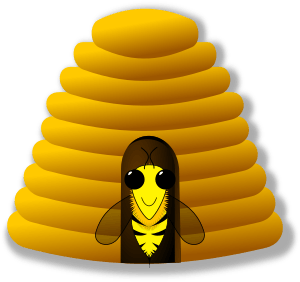 Slovenian Bee Hive – I have recently discovered the Slovenian or AZ Hive and am very intrigued by it. I really like the concept of a bank of beehives to help keep each other warm in the winter and being build into a shelter. Further you work the hives a frame at a time, again eliminating any heavy lifting. I will be following the Facebook Group and see if this is something I want to take on. The construction of this type of hive is much more complex and tends to be a more permanent structure and is not mobile unless build onto a truck or heavy-duty trailer. Since I have no intention of becoming someone who moves hives around every year it is appealing to me, you have your bee hives and honey shack in one structure. I think there is one or two people building them in the US so this would be a build project for me and I have too many other projects right now. Skeps – These hives resemble a upside-down basket and is the really old school style of beekeeping. We do have much of a history of this style of beekeeping in western hemisphere as when Europeans settled in this part of the world wooden box hives were the way to do things. 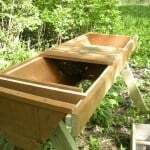 My Suggestions – If you are a completely new beekeeper (in North America) I recommend you start out with a Langstroth hive with all medium 8-frame equipment. 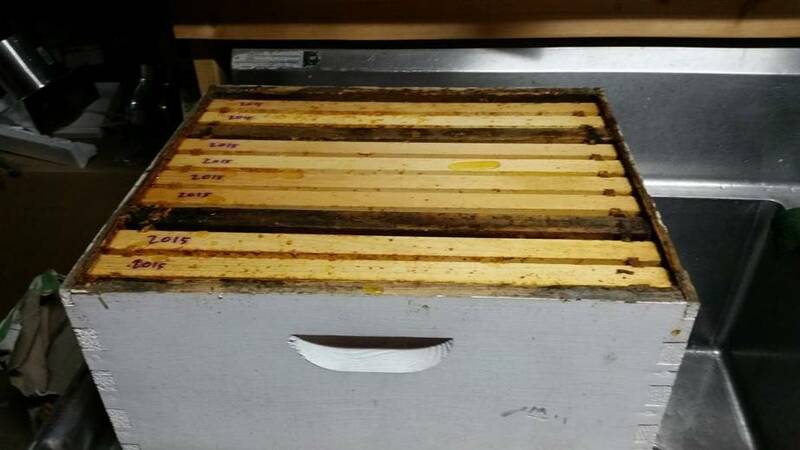 When it comes to getting bees the best would be an over-wintered nucleus (nuc) hive from a local beekeeper and install that in your equipment. 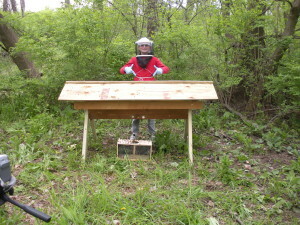 Make sure when you talk to the beekeeper that it is a nuc on medium frames if you do get all medium equipment. A nuc hive is 4-5 frames of a fully functioning colony with a laying queen, worker bees, a couple of frames of brood and a couple of frames of honey. This gives you the best chance of getting started. You can also put up a swarm trap in the spring and hope to catch a swarm, if you do this is considered by many the best way to start a new hive. The reason I suggest starting with Langstroth is I have only seen nucs for sale on Langstroth equipment. Also I should mention that this advice might not be the best for folks in other parts of the world, I know the UK has several types of hives not available here. Basically buy the type of hive you can get a nuc to go into.